Tap Seac Gallery is an art gallery hosted in a lovely European style building which lies on Tap Seac Square. The gallery was set up in 2003 by the government to showcase art and stimulate the creativity of local residents. 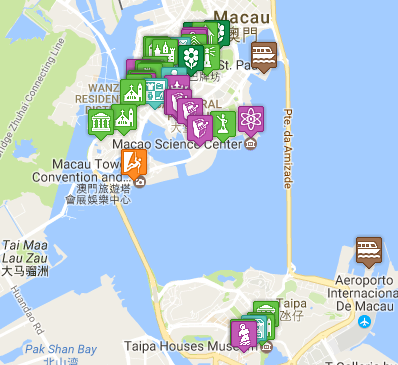 As well as local art, it now also showcases art from around the world. 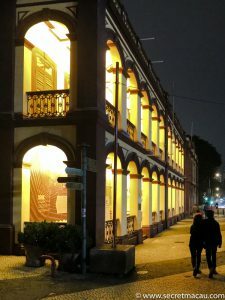 It contains a number of exhibitions and the building is also used to promote a variety of cultural events. 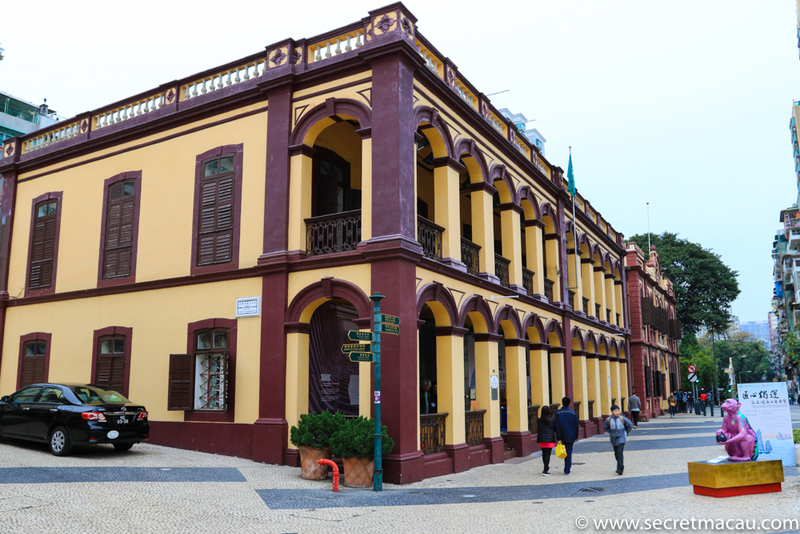 The building itself dates from the 1920’s when it was originally a residential property (for the well to do in Macau). It is one of a number of buildings around the square in the same yellow and brick-red colouring, with Moorish influenced arched doors. The gallery sits right on Tap Seac Square.